Pruning in the front yard, episode three: If you’ve lived or traveled in the American south, you’ve seen crepe myrtles. 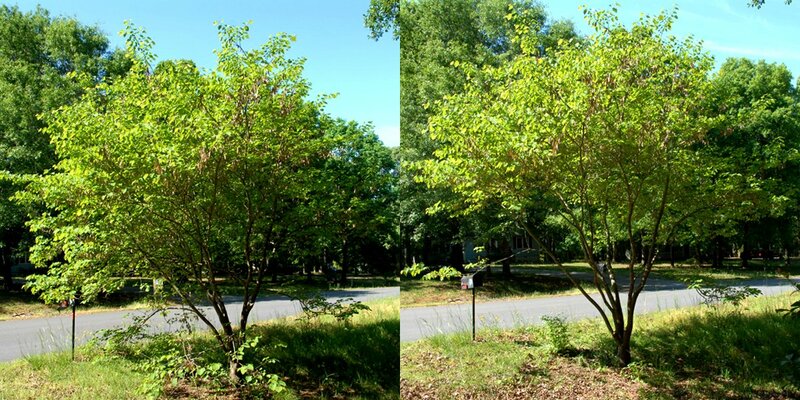 They line the residential streets of small towns, bloom in highway plantings, mark fence rows … even an otherwise naked suburban “golf course” lawn is usually landscaped with a crepe myrtle or two. And if you saw them in summer, when they flower from June to September, you can’t have missed their masses of showy clusters in white, pink, violet, or red. “What is that plant?” I’ve been asked. I wondered the same when I was a child, on a first visit south. This Asian immigrant has become so commonplace it’s hardly remarkable to the residents. But they do bloom beautifully, grow in a graceful form, have interesting bark, and thrive in our southern climate. So I’m happy we have a few. 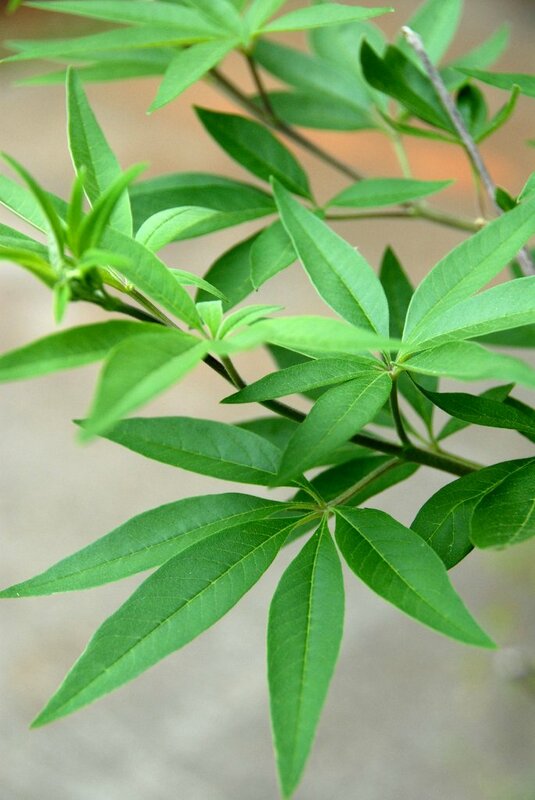 Ours are probably Lagerstroemia indica. A large one is growing like a sentinel on our corner out front. It needed to be “limbed up” (that is, have its lowest branches removed to reveal the trunk), thinned of internal and crossing branches, and relieved of the weight of dead wood. That was my shed today. I recognize that I often, in these entries, make little parables of the actions I’m taking to “lighten up.” Well, why not? I think of my own dead wood, my crossed branches, my twists that turn back on myself to conceal my best and truest form. I need to “shape up”! Would that spiritual pruning were as straightforward as using a saw and shears! But the outer work seems to have some inward consequence. For that, I gratefully press on. Comments welcome … what might you prune today? Pruning in the front yard, episode two: encouraged by the example of the Snail of Happiness, who commented that she’d coppiced her red hazel (Coryllus avellana) this week, I cut our chaste tree back to its stump or “stool.” It’s planted a few feet off the end of the driveway, and after two to three years of growth it blocks our view down the street. Since vitex responds well to coppicing (that is, the traditional agricultural practice of cutting back almost to the ground), when we feel we’re venturing forth on blind faith rather than sight, I go at it with my pruning saw. I’m glad the treatment doesn’t hurt the Vitex agnus-castus (re-invigorates, rather), because I like the large shrub and find it interesting. A Mediterranean native, medieval sources report that the chaste tree or “chasteberry” was used to reduce sexual desire. Just chew the fruits or drink a tea of leaves and twigs—anyone want to try it for science? Actually, it does seem to affect levels of hormones secreted in the pituitary gland, and has long been used in traditional medicine to treat several female reproductive system conditions. I read that it’s prescribed by German doctors. I was struck, as I snipped and sawed, by its fragrance. Like oregano, I thought, or a delicate tea. But I resisted the temptation to eat a leaflet. 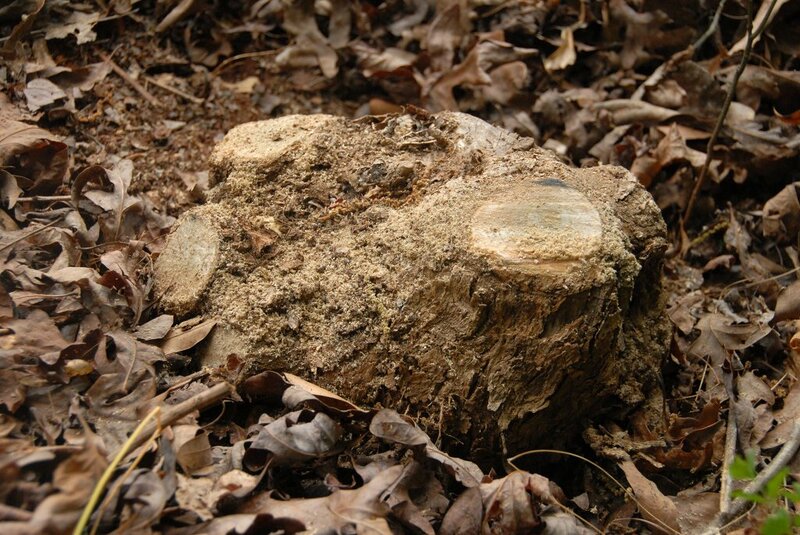 This is all that’s left of our vitex … but don’t be sad, it will spring up soon. Comments welcome … is something blocking your view that’s got to go? One of my favorite trees in our yard is an eastern redbud (Cercis canadensis)—in my gravatar image, it blooms behind the Lady Eliza. Though redbuds are a common understory tree of the eastern US, our specimen sits beyond the canopy of mature oaks and hickories, right by the street. We suspect it is the despair of our postal carrier, because it’s trying to engulf our mailbox. I rather like the redbud’s shrubby growth habit, with branches that sweep the ground. About them I invoke the Japanese landscape designers who say: let a thing be what it wants to be. Nimue answers that it’s hard to mow under. She is, of course, correct. Nevertheless, my pleas for those low branches won them reprieves from the pruning shears, until I finally had to admit it’s reaching past the right-of-way into the street. The redbud needed a haircut. So today it shed about a third of its lowest branches. Sometimes what’s ideal isn’t for the best. That’s a hard thought for me to think. But I’ll practice trying it out on some other ambivalences in my life. Comments welcome … when is the perfect the enemy of the good? How do we know?